On a walk this morning, we saw two night herons at the the dam. We also spotted a few Baltimore orioles and saw a territory dispute between an oriole and a robin. A flash of yellow flew by Chris and she found a common yellowthroat. 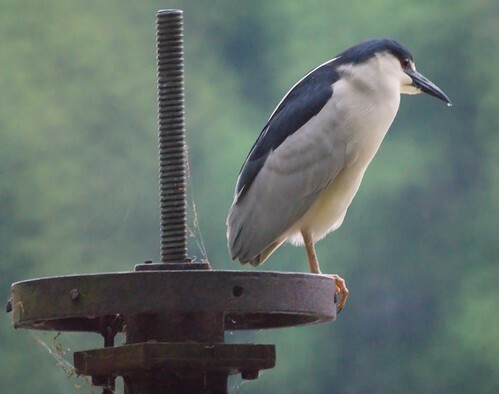 We went back home for the binoculars and camera and got a few night heron photos. 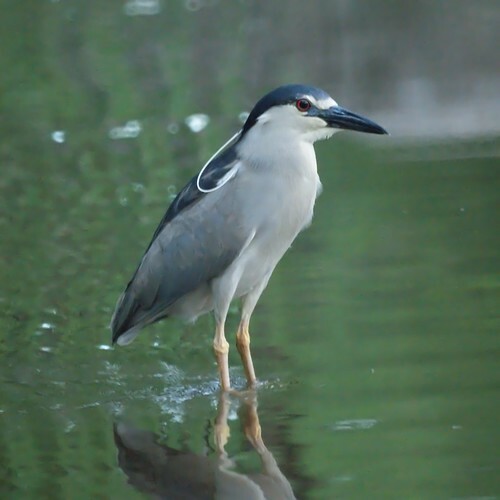 We like the little "pony tail" plumage of the black-crowned night heron in breeding season. The bottom photo shows a night heron on the flood gate. They are clever, but I don't think he's planning to raise it and let the water out of the lake to make it easier to fish.